ISE Update: SINGAPORE TO HOST 1ST ICE IN SOUTHEAST ASIA! We are excited to announce the 20th International Congress of Endocrinology will take place in Singapore! ISE will partner with the Endocrine and Metabolic Society of Singapore (EMSS) to host ICE 2022 in Asia's 'Lion City'. The landmark first ICE in Southeast Asia will support ISE's long-term regionalisation vision and be co-located with the ASEAN Federation of Endocrine Societies (AFES) biennial meeting. AFES, our key Regional Affiliates, comprise the highly active endocrines societies of Indonesia, Malaysia, Myanmar, Philippines, Singapore, Thailand and Vietnam and in partnership with ISE and EMSS, will co-host the National, Regional and International Congress of Endocrinology in Southeast Asia in 2022. Representing the essence of modern Asia, Singapore offers a dynamic mix of cultures, ideas and histories - both cosmopolitan, with a touch of old school. 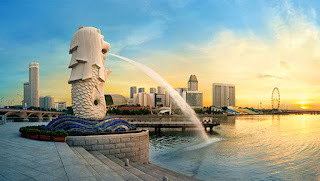 An accessible destination where East meets West, Singapore's standing as top International-meetings city (Union of International Associations) will provide the ideal environment to showcase the latest scientific developments in the field as well as promoting the much needed advancement of endocrinology in the wider region.